This will be the first foal out of our ster mare Ellamieka, but it will also be the first "second generation" foal for Mikali Farms. 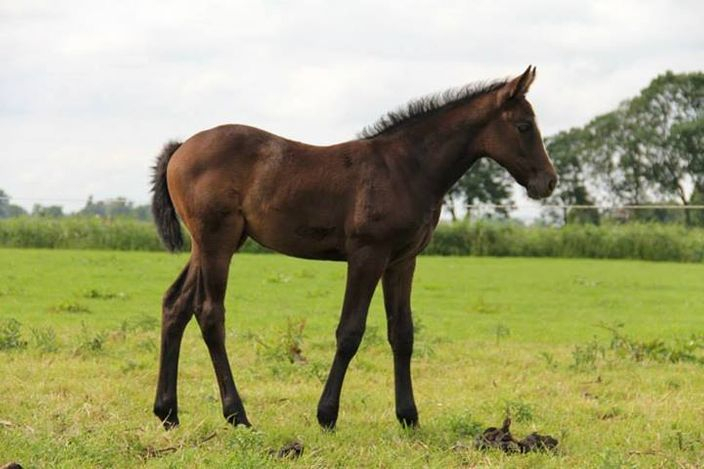 This foal will be born in Holland and registered with the KWPN. Born: May 21, 2013 - It's a filly!! One month old and now out in the fields for the summer! Always a hard to decision to sell the young ones, but we wish the new owners in Sweden much success with the future of this young star!! Ida and her friend Ella (Cardento x Quick Star) growing up in the fields of Sweden.